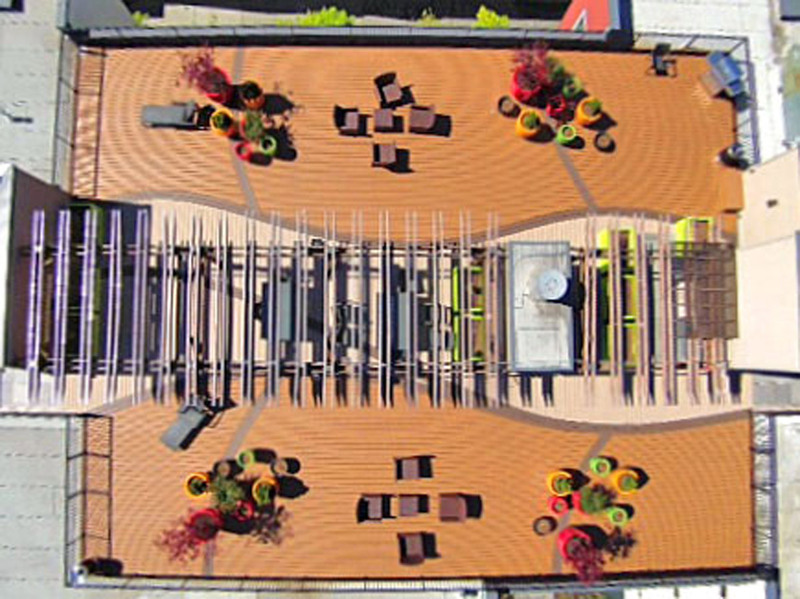 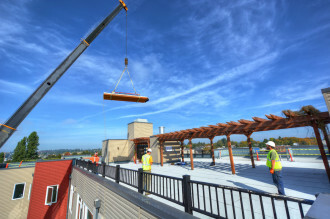 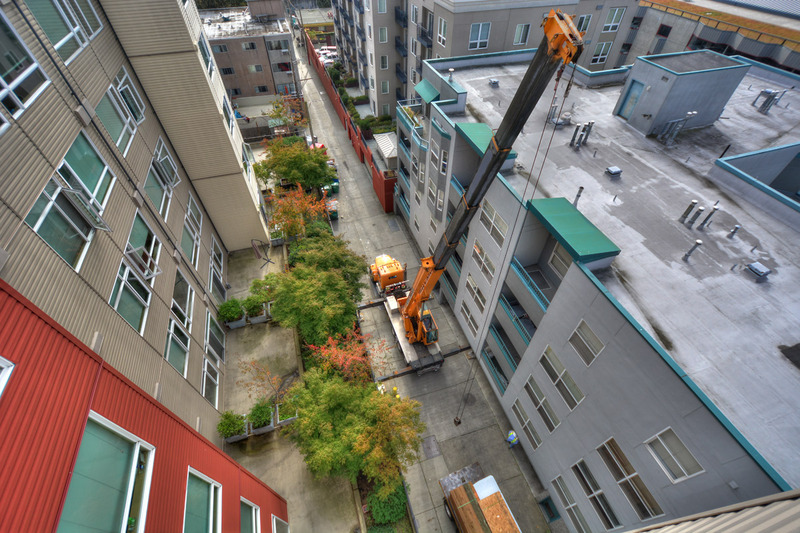 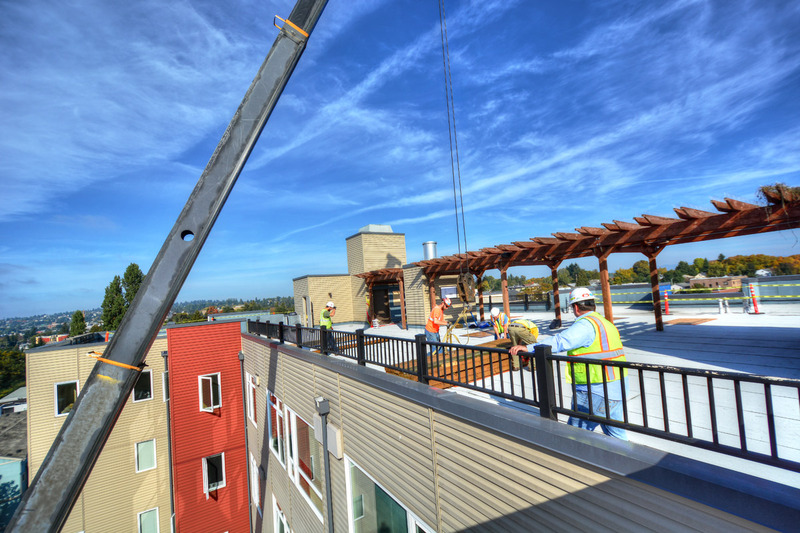 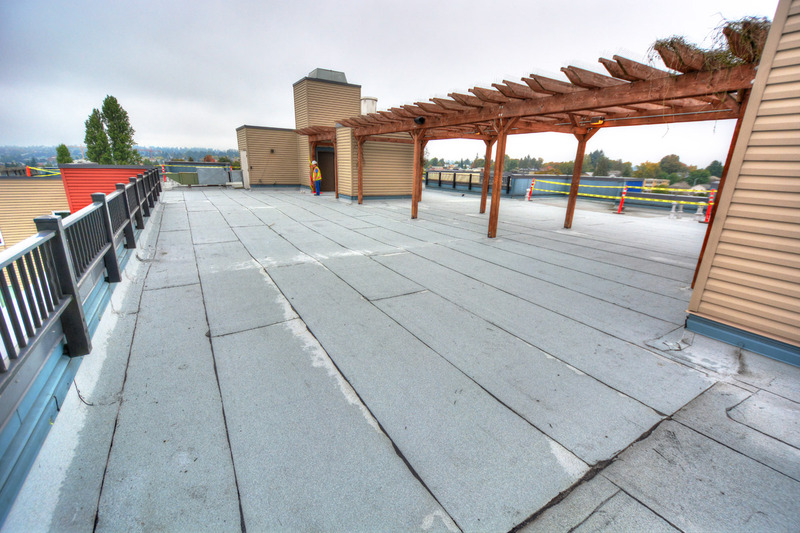 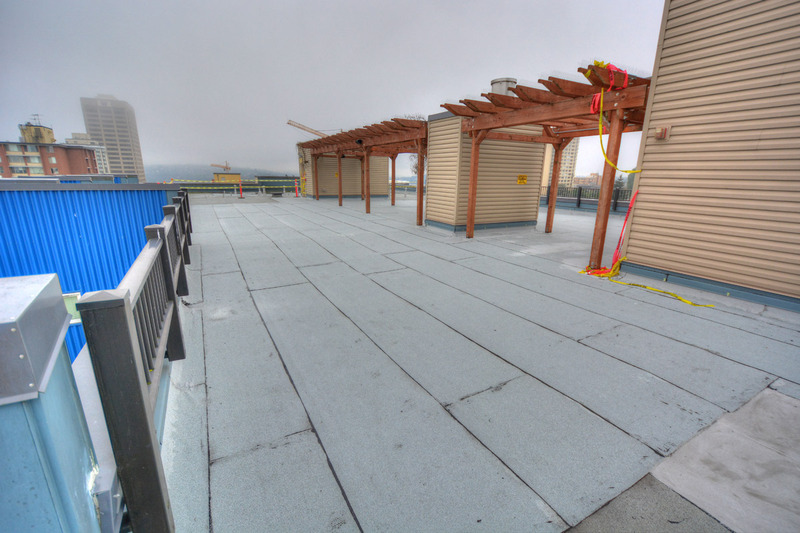 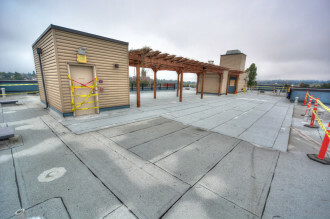 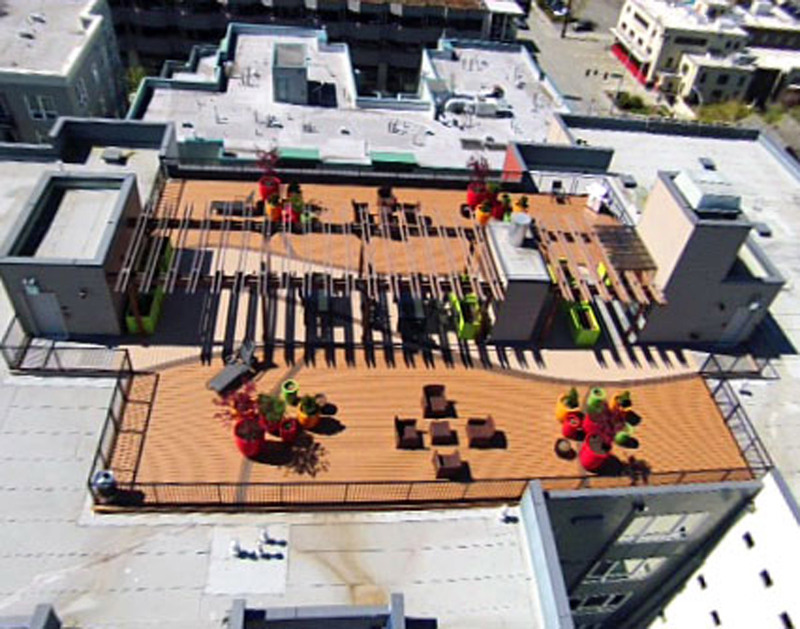 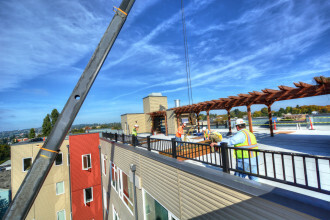 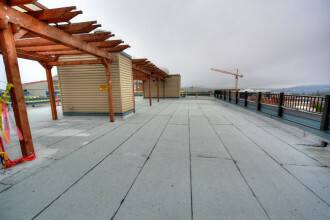 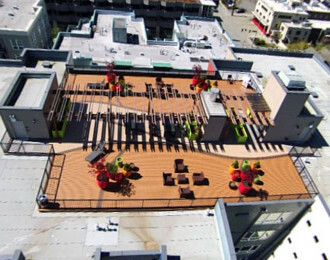 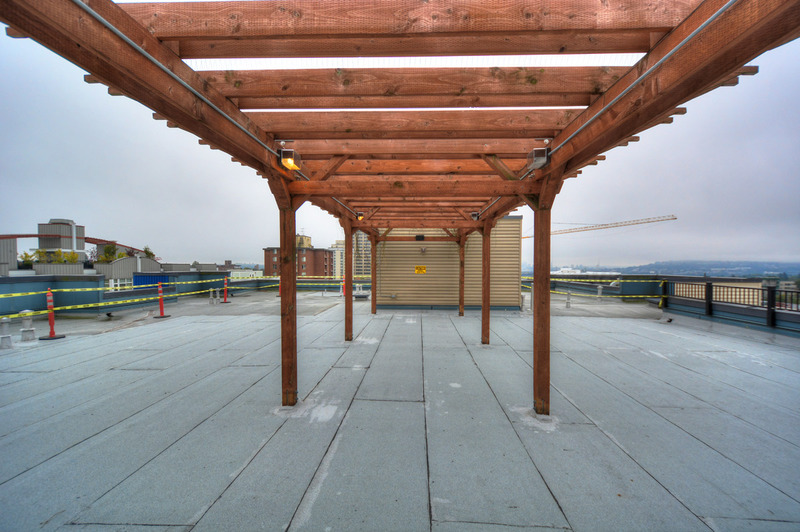 This project consisted of an extensive demolition of an existing roof deck, after which we built a new deck consisting of Azek wood decking and Kronos pedestal pavers. The wood decking was heated and curved for a beautiful architectural finish. 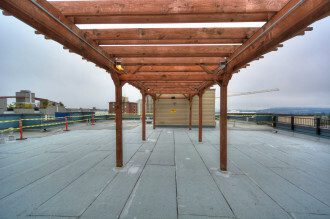 Irrigation was run underneath the deck for future pots and we installed a continuous aluminum railing and gate system.